My husband and I had a quiet 4th of July at home. I hope all of you had a relaxing and fun 4th. Sometimes it feels good to do nothing. As you know I love designing blogs. It makes me very happy to have fellow bloggers so thrilled with their new look. Recently Kristen from Knitionary contacted me about a missing header. I have seen a lot of that happening lately. I think other designers host their client's images on their own site and go out of business or they use Photobucket. Photo bucket goes down sometimes, and then those hosted images are blank. Time and time again, I always tell everyone to host their images on their own blog. I re-added Kristen's header back and then she wanted a whole new look and design. We chatted on the phone a bit and I got the general idea of what she wanted. Kristen is so talented. She loves to knit and is wonderfully gifted. Kristen also crochets. Make sure you visit her blog to see some of her work. She also lives in California. She loves gardening, entertaining and lots of knitting. Look at these cute Granny Square Tote she made. 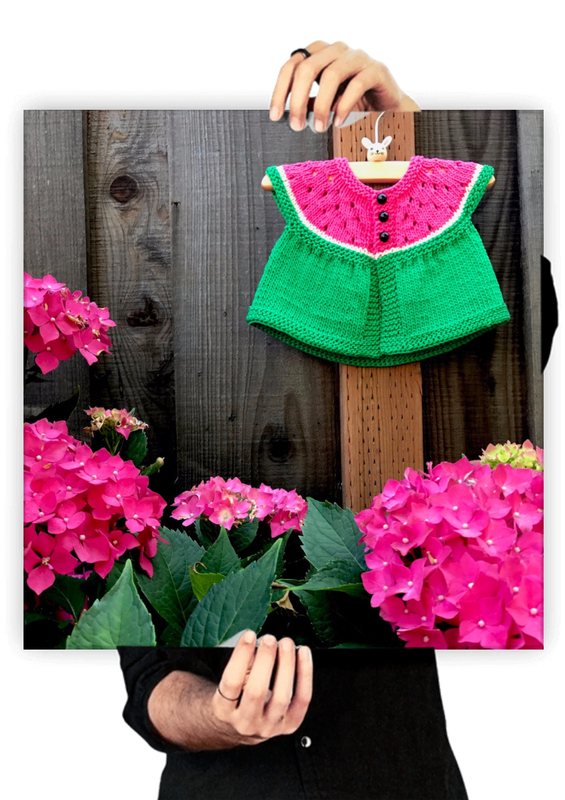 Just look at this sweet Watermelon Cardi. 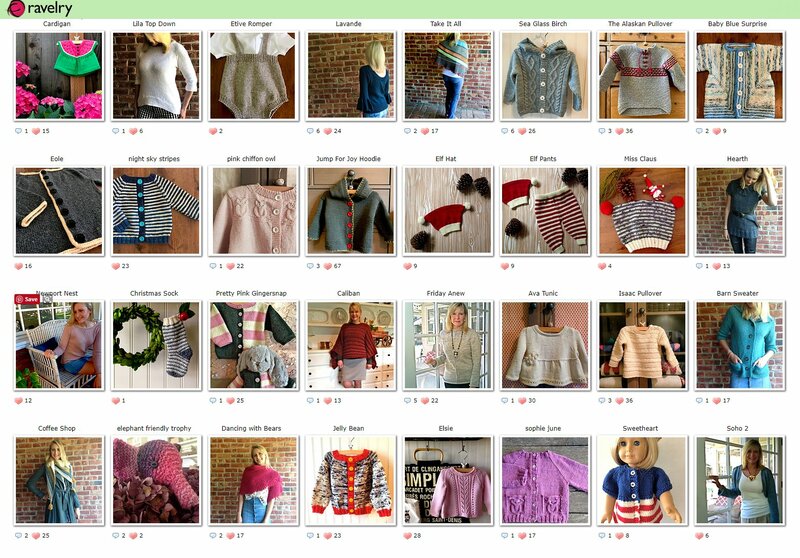 Kristen has lots of designs on Ravelry. Another blog design I created is French Ethereal for Barbara. 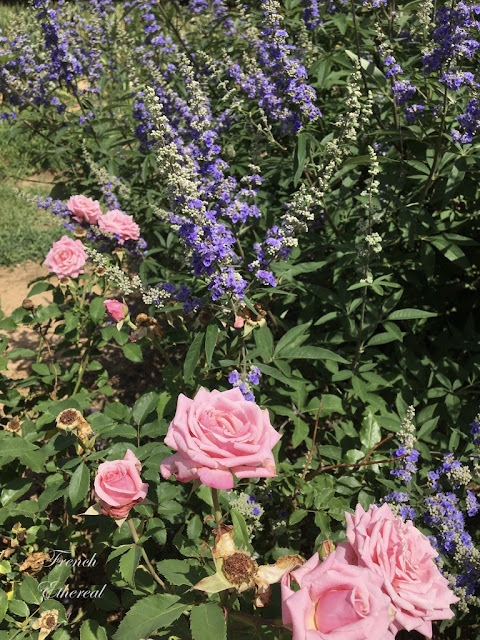 Barbara, Blog author/photographer at French Ethereal ~ Simple beauty for your home Lives in Hill Country, Texas. I'm a designer at heart creating a comfortable home by decorating, sewing, gardening, woodworking, painting & crafting all in Faith! She also has recently started her photography business. She is working on getting that website live soon. Barbara has a great love for statues and roses. I hope you visit both of these talented ladies. I have been over my parent's house helping with numerous projects. Today I worked on their irrigation. My husband is re-screening some of their screens, plus he does fix it work for them. Stay tuned for the guest bathroom reveal in a few days. Very nice- thank goodness you are able to help people like this. I didn't know the header images could be hosted by another site. I hope your Dad is doing better. It's so good of you two to help them take care of things around the home. It gets so much harder when you are older to do some of those things much less not being in good health. I will visit:) You are so savvy! And KIND.Kudos! 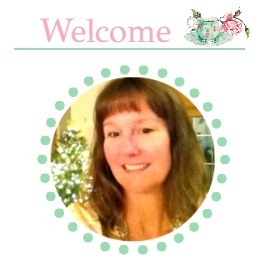 Hi Linda, Your new blog designs are incredible. You do such wonderful work helping bloggers meet their dreams and style. I know things can get weird sometime with links, pics etc. Currently I noticed my IG link doesn't work in the upper right corner. Maybe it will come back at some point. It worked fine all this time. Glad you enjoyed a nice relaxing 4th of July. We did here too and enjoying the hot weather with lots of rain this season. Hope your parents are doing okay. So nice you can help them around the house when needed. You've been busy! Both of these blogs look amazing. I've had the pleasure of meeting Barbara in person. She's very sweet. You are sooooo good with all this blog designing and I'm sooooo glad that I found you. I absolutely love my blog design and receive continued compliments about the look. You are just one very talented gal for sure! Beautiful tote! I love to crochet but have never been able to knit. These ladies are talented! 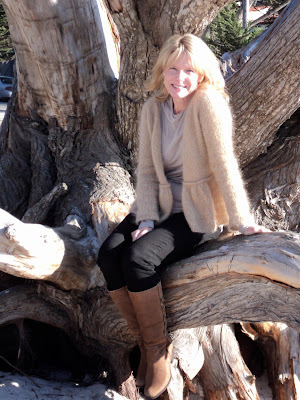 Hello Linda, it is so nice that you are also so talented with designing blogs for us bloggers. You did a great job with both blogs. :0) Thanks.